Posted on 02/27/2019 by Ari Strauss	in Live Review and tagged Americana, blues, Derek Trucks, Florida, jam band, soul, Susan Tedeschi, Tedeschi Trucks, Tedeschi Trucks Band, Warner Theatre. 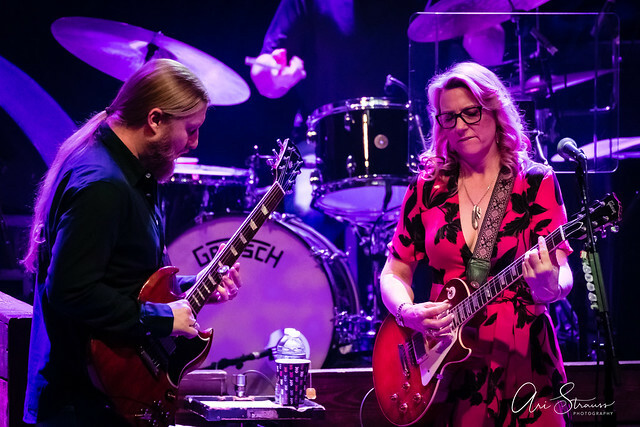 In what has become an annual tradition, the Tedeschi Trucks Band recently spent two February weekends in DC for its fifth annual Warner Theatre residency. This year’s residency included four performances, each of which sold out the 1,847-seat venue. I was lucky to get a ticket and a photo pass for the final performance. Posted on 07/16/2018 by Mark Engleson	in Live Review and tagged Americana, Ari Strauss, blues, Derek Trucks, Florida, jam band, soul, southern rock, Susan Tedeschi, Tedeschi Trucks, Tedeschi Trucks Band, Wolf Trap. I recently found myself musing on the merits of listening to recorded albums versus attending live performances for the different experiences they provide the listener. 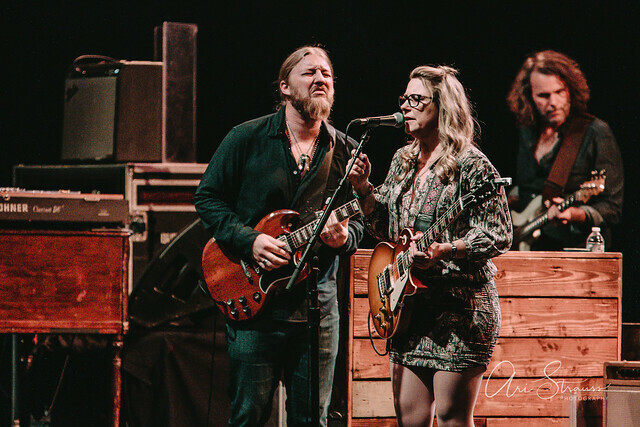 As a jam band, Tedeschi Trucks Band provides a live experience for the audience that is simply unequaled by the studio album. The heavy improvisational element of their performance means that every show is unique. Sure, their recorded albums are great, too — they won a Grammy for Best Blues Album with Revelator — but it’s as a live act that that they truly amaze. And amaze the band did at Wolf Trap on July 11 as headliners on their Wheels of Soul Tour.